Following on from our popular blog post in October ’15 ‘The Handy Guide to Cross-Media Production’, we asked clients what helpful information we can include to the next edition. The guide is there to help you navigate through the world of cross-media production whether it’s the latest terminology for your digital project, setting up files for your print publication or clarification on how to supply a file for a exhibition. This section includes an artwork checklist, advice on how to export PDF files safely as well as some relevant FAQ’s. One of the most common requests for volume 2 was to explain the different paper folds whether it’s roll fold, gate fold or concertina fold. In this section, we have a full list of paper and envelope sizes for you to reference. A full and ever expanding list of our different systems. Includes pull up and pop up stands and all with full artwork specifications and guidelines. A handy glossary of the most common terms covering all of your print based terminology. We have now included a glossary with the most commonly used digital terms, want to know the difference from your PPC, SEO or SMS, this is the place to head. 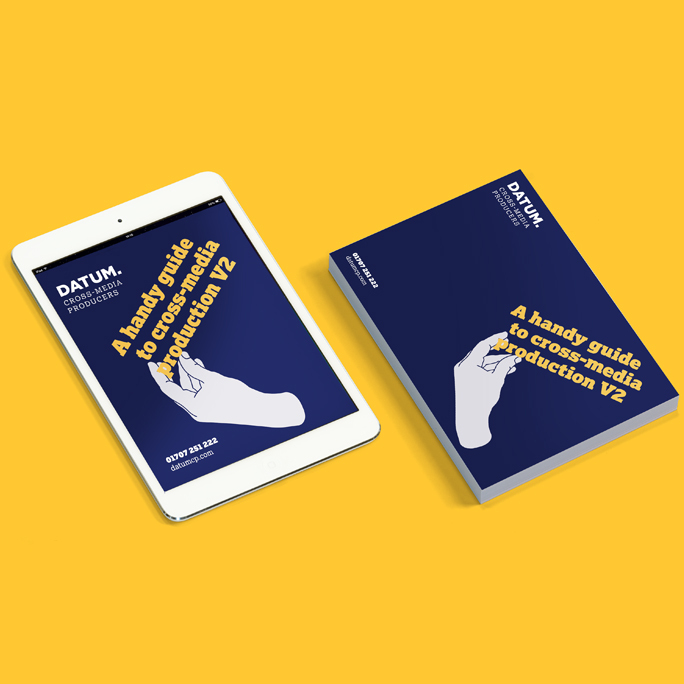 We think you will find the updated guide useful and that it will help you get the most out of your production projects. However, there are always times when a chat with a person is best, so feel free to contact us anytime. As per our previous blog, we are always updating the guide with the latest information so let us know if you think something is missing, we’d love to hear from you and we will get straight on it for volume 3!